I gathered from around the world from different sources sales for the venerable Bentley marque. This isn't a list from the company, which would differ I am sure in detail. Overall, it is a reflection of where they are sold. The only guess is China. The fact that the data isn't readily available would reflect a fall in sales. I, therefore, had sales going down. The issue the company has is having reached the 10-11,000 mark, pushing on to say the 15,000 level. 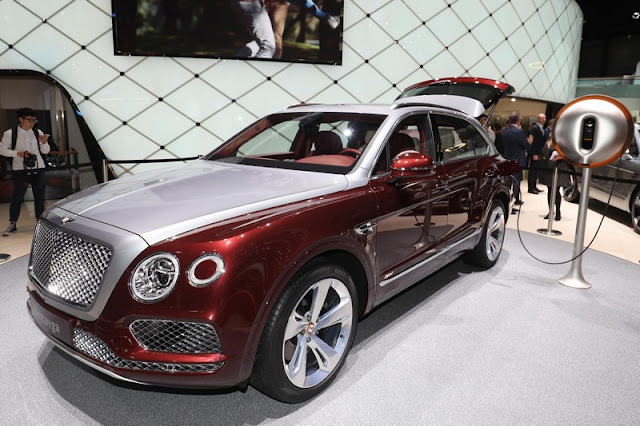 The Bentayga was surely supposed to do that. Which goes to show that although there are plenty of people around to afford such cars, there is stiff competition from other brands and also transport such as superyachts and private jets. Total sales were down 8.2% and production minus 10.7%. The US remains the strongest market for Bentley, with the UK, Germany and China making up a distinct top four. The colours below represent regions. Dark blue Americas, pale blue Europe, yellow Asia/Pacific and mustard Africa/Middle East. The figures are indicative rather than absolute, depending on the reliability of the source.